We have been receiving thousands of inquiries about comparison between PYRO-ENERGEN and other similar high voltage therapy machines. 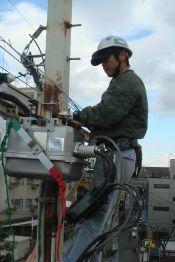 20–25 years ago, when the PYRO-ENERGEN has become globally known and its popularity rose, several rich and big companies in Japan produced similar machines, which are operated on AC high voltage using tesla coil (not static electricity) under different brand names. Soon, Taiwan and mainland China followed in imitating the machine for manufacturing. They made their own theories saying that AC high voltage can rejuvenate the body cells, blood pH can be alkalized, and heal diseases. That must be a huge LIE! We would like to emphasize once again that PYRO-ENERGEN is not operated on any AC high tension voltage but on STATIC ELECTRICITY. The PYRO-ENERGEN is the first of its kind that applies static electricity for medical treatment purposes in the world since 35 years ago. As we all know in science that static electricity is everywhere and is essential to living things, and that AC high tension voltage is harmful to animals. We see a lot of danger signs everywhere saying that “DANGER, DANGER, HIGH TENSION POWER LINE, WHERE SHALL WE RUN AND HIDE?” Another one says, “I am planning to escape from my house that is located under a high tension voltage overhead electricity line”. 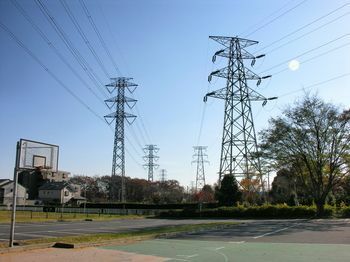 There are lots of serious hazards of EMF emitted from high tension wires. The media response amplified the perception of electromagnetic fields as a health hazard. Be noted that other high voltage therapy machines are operated on AC, and they have severe problems of side effects caused by the AC high tension voltage. Thus, they had to state a lot of precautions and prohibitions in their booklets. These side effects are caused by electromagnetic fields that induce current into the body and produce joule heat. These side effects caused by AC high tension voltage therapy machines are no longer considered "psychological effects". Diseases listed below are believed to be side effects that may occur by AC high tension voltage therapy machines and power lines near or above your house. Leukemia, Lymphoma, Cataracts, Miscarriage, Breast Cancer, Lymph Node Cancer, Convulsions, Allergies, Dizziness, Forgetfulness, Insomnia, Bladder Cancer, Colon Cancer, Chronic Fatigue Syndrome, Autism, Sudden Infant Death Syndrome, Still Birth, Liver Cancer, Nausea, Skin Rash, Depression, High Blood Pressure, Hormone Imbalance, Melanoma, Kidney Cancer, Birth Defects, Angina Pectoris, Irritability, Headaches, etc. Based on numerous reports in the popular press and internet sites, you should think twice or even thrice, to refrain from such circumstances. PYRO-ENERGEN electrostatic therapy machine is not the same as AC high tension voltage therapy machines! "Static electricity" is not electricity that is static. Actually, Static electricity is an imbalance in the amounts of positive or negative charges found within the surface of an object. It's only the imbalance between opposite charges. It's irrelevant whether the charge is moving or "static". In fact, the charge-imbalance can flow along as an electric current, yet it loses none of its familiar "static electrical" properties. The charge still crackles, glows, and attracts dust and lint, even when it's moving along. But how can we have "static" that flows? Motionless motion? "Static electricity" is all about charge-imbalance, and it has nothing to do with charges at rest. Actually, "Static electricity" is maybe not the right term. Then what is "static electricity?" Here's a clue. There is always a strong electric field surrounding our body, whether the charges are moving still. This electric field is the main feature of so-called "static" electricity. Another simple answer is that an electric field is a voltage without a current; whenever you have pure voltage, then you have a pure electric field with no magnetism involved. Still another way to say it: "STATIC ELECTRICITY" is just "HIGH VOLTAGE ELECTRICITY" without current or without magnetic field. Do you know where do these places exist more in our planet? They are in mountain areas, forests, riverside, waterfalls, seas and seaside, and green fields. And, do you notice all living things are healthier in these areas? And yes, PYRO-ENERGEN gives you such area right in the comfort of your home. The PYRO-ENERGEN is the first of its kind that applies static electricity for electromedicine purposes in the world. Now, you may ask what triggered us to apply static electricity for healing process. FAILURES OF MODERN MEDICAL SCIENCE made me to find a way to combat world maladies.